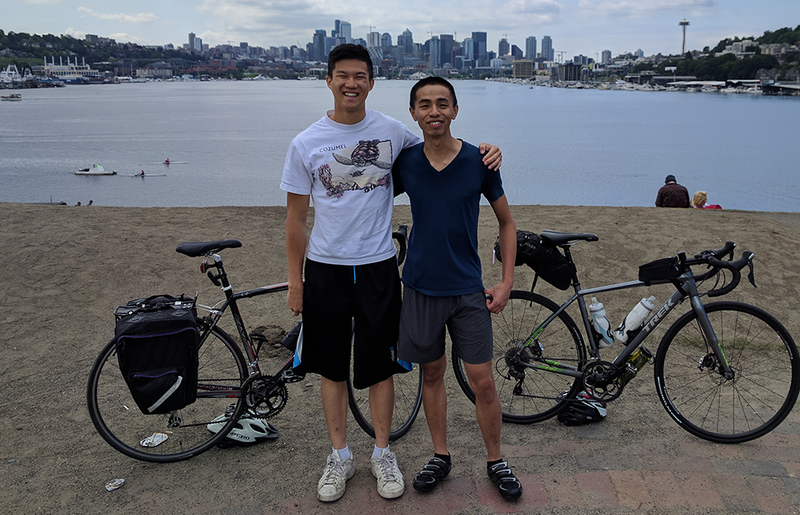 For Josiah Ng and Aaron Tsui, cycling is a way to keep their bodies healthy and a means to contribute to a greener world. 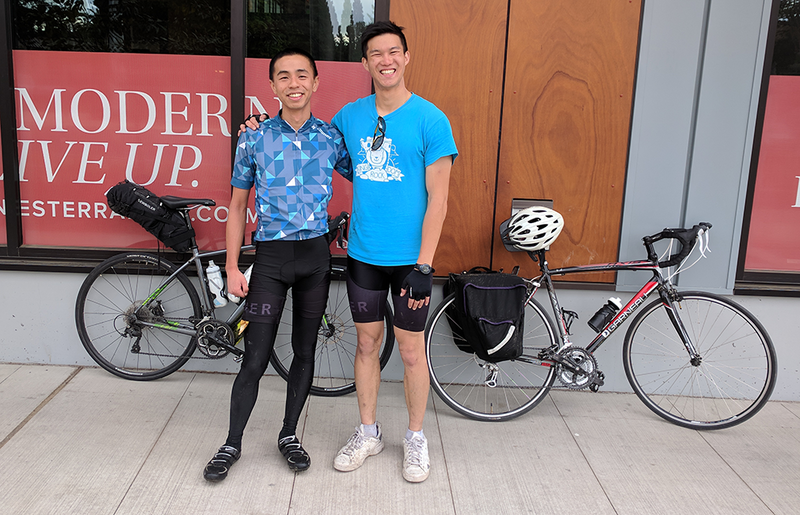 Earlier this month however, their love of cycling took on a new spin as the two Vancouverites embarked on a journey from Vancouver to Seattle — an incredible 250 kilometre and an estimated 12 hour ride — all while raising funds for Canadian Blood Services. That’s a big jump given their previous fundraiser ride was 50 kilometres. 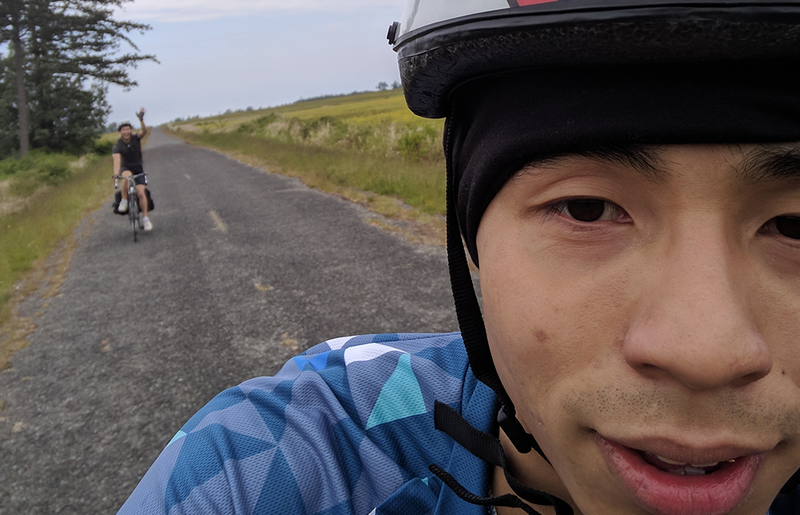 In addition to cycling for “Ride for Refuge” in the past, they’ve also held multiple blood donation events amongst their friends and family to spread awareness for support of Canadian Blood Services through blood donation. “Calling them parties really helps to draw in the crowd,” said Aaron. Although Josiah and Aaron have never needed blood themselves, like many Canadians they both know people in their personal and professional lives who have been given the gift of life through blood. In fact, 53% of Canadians will need blood, or know someone who needs blood at some point in their lives. 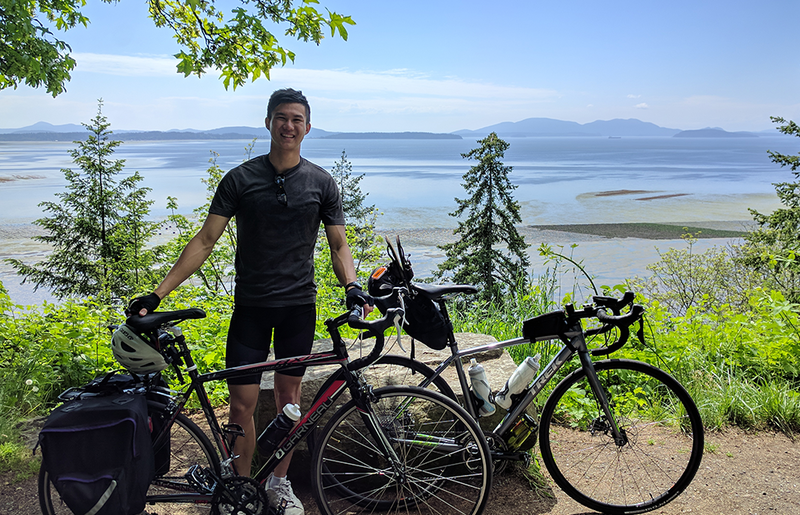 Their fundraising page exceeded its original goal and the funds received will be distributed where the need is the greatest in support of four areas: blood, stem cells, organs and tissues, and research and innovation. From helping recruit the next generation of blood and stem cell donors, modernizing collection centres to improve the donation experience and funding innovative research in transplantation and transfusion medicine, the funds raised will have a direct impact on improving lives for Canadian patients. Join Josiah and Aaron in making a lifesaving difference for Canadian patients.